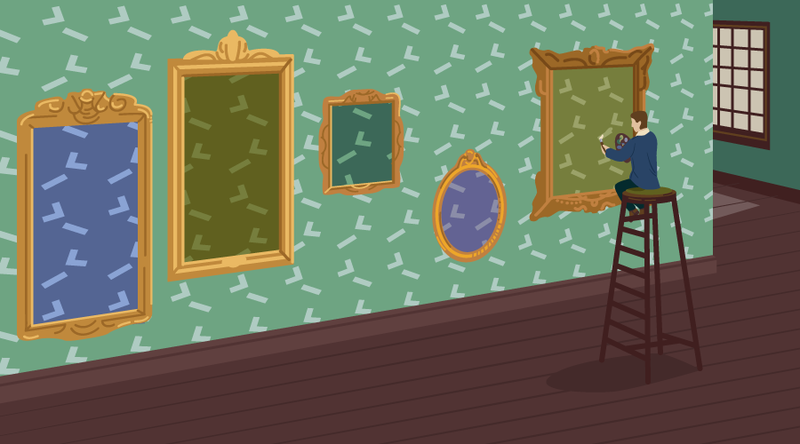 In its simplest form, a decorator is simply a way of wrapping one piece of code with another — literally “decorating” it. This is a concept you might well have heard of previously as functional composition, or higher-order functions. Note: at the time of writing, the decorators are currently in “Stage 2 Draft” form, meaning that they are mostly finished but still subject to changes. It’s possible to use as many decorators on the same piece of code as you desire, and they’ll be applied in the order that you declare them. @time will record how long a method takes to execute and log this out with a unique tag. At present, using decorators requires transpiler support, since no current browser or Node release has support for them yet. If you’re using Babel, this is enabled simply by using the transform-decorators-legacy plugin. Note: the use of the word “legacy” in this plugin is because it supports the Babel 5 way of handling decorators, which might well be different from the final form when they’re standardized. Decorators also allow for a cleaner syntax for applying these wrappers around your code, resulting in something that detracts less from the actual intention of what you’re writing. At present, the only types of decorator that are supported are on classes and members of classes. This includes properties, methods, getters, and setters. Decorators are actually nothing more than functions that return another function, and that are called with the appropriate details of the item being decorated. These decorator functions are evaluated once when the program first runs, and the decorated code is replaced with the return value. target: the class that the member is on. name: the name of the member in the class. descriptor: the member descriptor. This is essentially the object that would have been passed to Object.defineProperty. Literally updating the property descriptor to set the “writable” flag to false. This replaces the entire method with a new one that logs the arguments, calls the original method and then logs the output. Note that we’ve used the spread operator here to automatically build an array from all of the arguments provided, which is the more modern alternative to the old arguments value. You’ll notice that we had to use a slightly funny syntax to execute the decorated method. This could cover an entire article of its own, but in brief, the apply function allows you to call the function, specifying the this value and the arguments to call it with. A function, log, that takes a single parameter: name. This function then returns a function that is itself a decorator. This is identical to the earlier log decorator, except that it makes use of the name parameter from the outer function. Straight away we can see that this allows us to distinguish between different log lines using a tag that we’ve supplied ourselves. Class decorators are applied to the entire class definition all in one go. The decorator function is called with a single parameter which is the constructor function being decorated. Note that this is applied to the constructor function and not to each instance of the class that is created. This means that if you want to manipulate the instances you need to do so yourself by returning a wrapped version of the constructor. In general, these are less useful than class member decorators, because everything you can do here you can do with a simple function call in exactly the same way. Anything you do with these needs to end up returning a new constructor function to replace the class constructor. Here we are accepting a class as our argument, and returning a new function that will act as the constructor. This simply logs the arguments and returns a new instance of the class constructed with those arguments. We can see that constructing our Example class will log out the arguments provided and that the constructed value is indeed an instance of Example. Exactly what we wanted. There’s a fantastic library called Core Decorators that provides some very useful common decorators that are ready to use right now. These generally allow for very useful common functionality (e.g. timing of method calls, deprecation warnings, ensuring that a value is read-only) but utilizing the much cleaner decorator syntax. The React library makes very good use of the concept of Higher-Order Components. These are simply React components that are written as a function, and that wrap around another component. These are an ideal candidate for using as a decorator, because there’s very little you need to change to do so. For example, the react-redux library has a function, connect, that’s used to connect a React component to a Redux store. The MobX library makes extensive use of decorators, allowing you to easily mark fields as Observable or Computed, and marking classes as Observers. Class member decorators provide a very good way of wrapping code inside a class in a very similar way to how you can already do so for freestanding functions. This provides a good way of writing some simple helper code that can be applied to a lot of places in a very clean and easy-to-understand manner. The only limit to using such a facility is your imagination!